Alan Jamieson tells the story of Mike Hall, a glider pilot who survived the 1944 Battle of Arnhem. On 12 September 1944, more than 100 officers assembled in what had once been Lady Ebury’s bedroom in Moor Park, an elegant 18th-century mansion near Rickmansworth in Hertfordshire. Lieutenant-General ‘Boy’ Browning and Major- General Roy Urquhart, who were billeted in the mansion, stood up to face the men. They told their stunned audience that after a month’s frantic and secret planning, an airborne assault by parachute and glider would be launched to seize bridges across the Rhine. The assault was to involve a British and Polish force of 11,900 men, who would be flown to Arnhem to capture the most northerly bridge. Five days later, an air armada flew over southern England; with them, flying a Horsa, was glider-pilot Staff Sergeant Mike Hall. As war approached, Mike Hall had volunteered in April 1939 for the Army, and was enlisted in the London Irish Rifles – ‘a really rough lot’, as he remembers. After initial training, he had his first experience of Moor Park Mansion, posted there as a clerk to an officers’ training school. Earlier in the war the mansion had been a comfortable jail for German officers. Billeted in its basement, Mike worked at a desk in the Orangery, before moving on with the Rifles to other bases. In March 1942, Mike volunteered again, this time to train as a glider pilot. Promoted to corporal, he trained on a small glider called a Hotspur, learning air navigation, meteorology, aircraft recognition, and flying. He continued with rifle skills because when glider pilots (still considered part of the Army, not the RAF) landed, they joined up with an infantry platoon as riflemen. 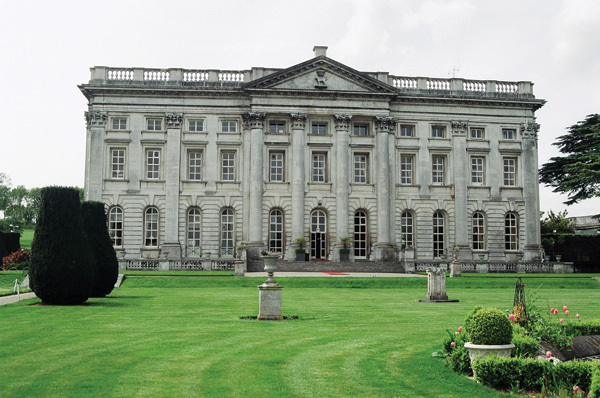 Moor Park Mansion, where Operation Market Garden was conceived and planned. In October 1942, having completed his training, Mike moved to the large aerodrome of Brize Norton in Oxfordshire. Here he learned to fly a Horsa, a glider larger than a Halifax or a Stirling, which were used as ‘tugs’. The Horsa could carry 28 armed and kitted men, or vehicles such as jeeps, motorcycles, or anti-tank guns. Mike did not know then that he would fly a Horsa to Arnhem on one of the most perilous missions of WWII. Mike’s first brush with real action came in June 1943. By then a staff sergeant in the Glider Pilot Regiment, he flew a Horsa, pulled by a Halifax, for a nine-hour flight to Morocco, joining the 8th Army and the American army that had expelled Rommel from North Africa. 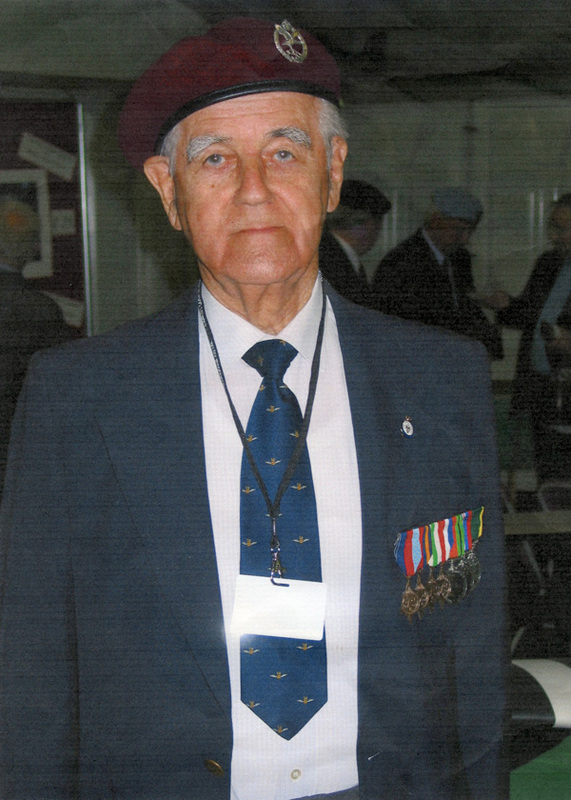 Mike moved on to Italy, but in November 1943 he was posted back to the UK to join the 1st Airborne Division as it prepared for D-Day and subsequent operations. Back at Moor Park Mansion, a team of planners were hard at work in Lady Ebury’s former bedroom. Between D-Day and September 1944, 17 different operations were planned for the 1st Airborne Division. All were aborted, and the Airborne generals became impatient. After the D-Day landings – in which the Airborne, carried by gliders, played a significant role, including the capture of PegasusBridge – and the battle for Normandy, the Allied advance across northern France and Belgium was swift. The Airborne were held back, much to their disgust. As crack troops, they were desperate to get into the action. Their time soon came. Operation Market Garden, proposed by Field- Marshal Montgomery and worked out at Moor Park by generals Browning and Urquhart and their staff, would go ahead. It would be a huge operation to seize the bridges across the Rhine, enabling the Allies to break into northern Germany and end the war. At 8.30am on 17 September, Mike and hundreds of other pilots had a short briefing about their target. 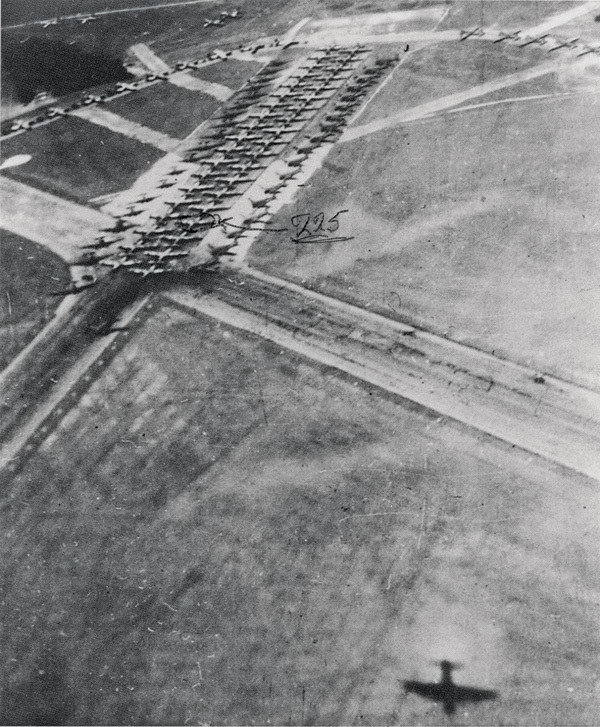 The parachute and glider assault was to take place over three days. Enough time, General Browning said, to seize the most northerly bridge at Arnhem in Holland. Mike Hall’s flight was on the first day. He was in one of hundreds of planes – gliders ‘tugged’ by Dakotas and other aircraft, both bombers and fighters – that streamed out of 24 airfields towards the Dutch coast. ‘It was a thrilling sight to see the huge number of aircraft together with their fighter escorts,’ recalls Mike. Thrilling, perhaps, for someone then aged only 23. But dangerous too. 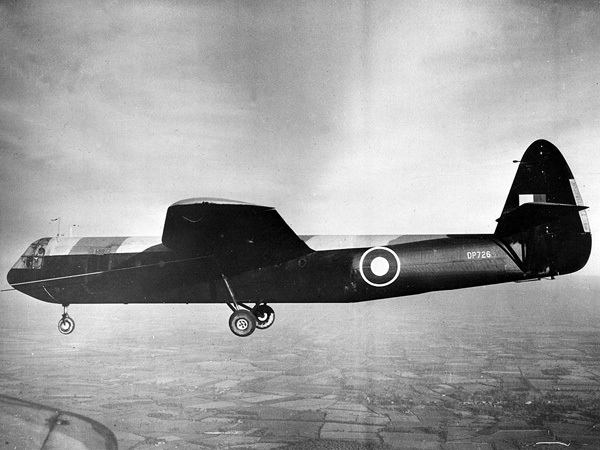 A glider had no engine; it was pulled at the end of a rope by a ‘tug’ plane. Released, it had to be carefully flown and then landed in a field already crowded with gliders, with others coming in behind it. In Mike’s glider were 28 men of the Border Regiment, their lives totally dependent on the skill of the two pilots up front. Mike’s glider was one of the first to land in the Landing Zone, six miles from the ArnhemBridge. The approach and landing were unopposed, unlike drops on the second and third days, when the element of surprise had been lost. On those occasions, German troops from two panzer divisions which had re-grouped north-east of Arnhem moved to defend the bridge and peppered the British troops falling from the sky. On the third day, Mike was in a wood near the Hartenstein Hotel and houses wrecked by shellfire in Oosterbeek. He was given a Bren gun. However, the British infantrymen were facing 60 tanks, artillery, and panzer grenadiers equipped with machine-guns and mortars. By the end of the fifth day, the Guards Armoured Division reached the Rhine’s south bank, linking up with the brave survivors of the Polish Parachute Brigade who had landed and suffered severe casualties on the fourth day. Across the river, on the north bank, Mike Hall and the diminishing band of the 1st Airborne Division found themselves under increasing fire. A Halifax taking off, pulling a Horsa glider like the one Mike Hall piloted. Engineers from British and Canadian companies were using stormboats as ferries – although they were no bigger than rowboats – to carry up to 12 men at a time across the fast-flowing Rhine. Some men attempted to swim and many were drowned. Mike clambered into a stormboat, and a few minutes later staggered on to the south bank where soldiers from the Guards sent him on his way, a three-mile walk to a rest centre. The British and Canadian engineers turned their boats around to re-cross the river, time and again. ‘They were brave men, and we owed them our lives,’ says Mike. Of the 11,900 men who went to Arnhem, only 3,900 (including General Urquhart and Mike Hall) escaped or were evacuated. Over 1,400 men were killed and over 6,500 exhausted and wounded survivors were left behind to become prisoners-of-war. ‘A bridge too far,’ lamented General Browning later. Glider pilot Mike Hall agrees. But his war was not over. On Christmas Day 1944, only three months after Arnhem, Mike flew in a Sunderland flying boat to Karachi, India. An adventurous journey by train took him across India to Burma, where a glider assault in support of the 14th Army had been planned. After a rigorous training course in jungle warfare, Mike flew 14 missions into Burma as second pilot in a Dakota aircraft, delivering supplies and evacuating wounded men. In the last weeks of the war in the Far East, he again crossed India by train, and it was not until February 1946 that a troopship finally took him back to the UK. He had survived six-and-a-half years of war – and he lives to tell the tale. Alan Jamieson is a historian and the author of many books on local history and WWII. Hi my father cfg Theobald, 4th air landing att bty ra field landed at arnhem not captured carried on through into Germany sent back to uk. Re a signed to far east via india onto java fighting japs…survived. …rgds his son michaell Theobald. My father Leonard Castledine was at Arnhem for operation market garden so I understand and he got out, I think he was glider pilot 2 regiment but I have never been able to get a service record for him on the usual sites. We’re some re rods destroyed or redacted?